If you have lost several teeth in a row, you may be wondering what your options are as far as having them replaced goes. Whether you lost them because of poor oral hygiene, gum disease or an accident, you can be sure that a dental bridge can get your smile back to looking how it used to, or perhaps even better. A dental bridge is generally made of two or more crowns and false teeth, known as a restoration. The restoration is placed into the space in your mouth where you are missing teeth and meant fill the empty space so that you can get back to smiling proudly in no time. Your smile will be restored. You will be able to chew and speak much more easily. You will prevent your real teeth from drifting out of their current positions. 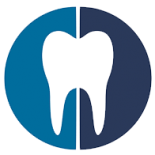 When you decide you want a dental bridge, you will have to make two separate appointments at the dentist’s office. The first visit will be so that your dentist can look at the way your teeth are set up currently and therefore decide if a dental bridge is the right treatment for you. If your dentist decides to proceed, they will immediately begin preparing the teeth that will anchor your bridge. This is done by shaving a piece of the enamel so that there is room for the dental crown to hold the bridge in place. You will then have impressions taken of your teeth, which will be sent to the dental lab. A temporary bridge will then likely be given to you until your second scheduled appointment. Your second visit will consist of your dentist removing the temporary bridge and checking to make sure that the size, fit and color of your permanent bridge is accurate. If everything checks out, your dentist will then permanently cement your bridge into place. If you are interested in having a dental bridge replace your missing teeth, call Corsi Dental Associates in Woodbury today. We can get your in for your first appointment soon!